Lynx 5000 is 35mm film rangefinder camera made by Yashica and introduced in 1964. 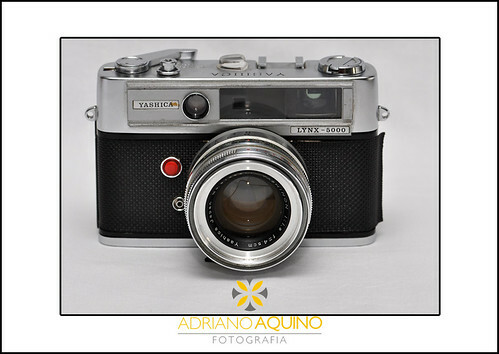 It belongs to the Yashica Lynx series of cameras which are fixed lens, leaf shutter cameras made in the 1960s. It has built-in CDS cell light meter, full manual settings and Yashinon 5 elements 45mm f/1.8 lens, Yashica Copal-SV shutter with all speeds 1-1/1000, self-timer, and metal body. The viewing is very clear. It has coupled viewfinder / parallax corrected rangefinder. There is a bright frame which moves when the focus ring turned. Light meter readout is on top of the body and in the viewfinder.